Rhian was born in Swansea but moved to the Brecon Beacons where she went to school until 11. She then moved all the way across the border to Hereford. She returned to Wales to study English Literature at Aberystwyth. She trained as a Drama and English teacher and wrote her first novel during her first few years in teaching. She got her first publishing deal at 26 and went on to write three more novels for Bloomsbury. She took a break to have three children and during this time taught Creative Writing and also a Children’s Literature course for the Open University. 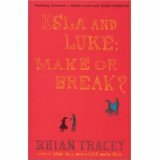 Rhian is a National Trust writer in residence at Sudbury Hall and the Museum of Childhood. She currently lives in Rutland, the smallest county in the country, with her family. 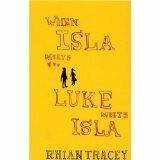 She previously published under the name of Rhian Tracey. Find her on Twitter @Rhian_Ivory and on her website. 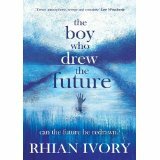 The Boy Who Drew The Future (coming September 2015): Noah and Blaze live in the same village over 100 years apart. But the two teenage boys are linked by a river and a strange gift: they both compulsively draw images they don’t understand, that later come true. They can draw the future. 1860s – Blaze is alone after his mother’s death, dependent on the kindness of the villagers, who all distrust his gift as witchcraft but still want him to predict the future for them. When they don’t like what he draws, life gets very dangerous for him. Now – Noah comes to the village for a new start. His parents are desperate for him to be ‘normal’ after all the trouble they’ve had in the past. He makes a friend, Beth, but as with Blaze the strangeness of his drawings start to turn people against him and things get very threatening. Will he be driven away from this new home – and from Beth? Will both boys be destroyed by their strange gift, or can a new future be drawn? 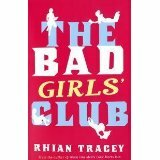 The Bad Girls Club: Four girls – Mary, Bea, Meena and Atlanta – are thrown together when they are picked for very different reasons by their teacher, to form a book review club. Their discussions and reviews will be heard on radio, chaired and presented by the incredibly cool Jazz. As the girls gradually relax and talk more and more animatedly about what they think about the different books, they find they are learning from, as well as about, each other. And so they become friends… Until one day Mary does the unforgivable and, having flirted outrageously with Bea’s new boyfriend, makes an all-out play for him. 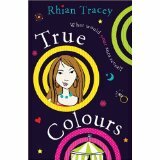 True Colours: R osie’s mum has a thing against fairgrounds, so when she agrees to take Rosie to the fair on the last day of their holiday, Rosie is shocked. But far greater surprises are in store. A visit to an odd little tent housing Florien’s Fates and Fortunes opens a Pandora’s box of mysteries – all of which Rosie is determined to solve. Firstly, how is it she can now see colours above people’s heads, and what do those colours tell her about them? Intrigued, Rosie decides to research and develop her new aura-reading skills by practising them at school, on her friends and at home. It is her mum, she discovers, who is keeping the biggest secret of all. Could it have something to do with the father she’s never known and whom her mum refuses to speak about? Rosie will need to resolve her friendship issues if she is going to get the help she needs to piece together the mystery.